I meant to put a pound of beans to soak overnight but forgot and realized I hadn't at about 5:30 this morning. I got up and put them to soak for cooking later this morning. Diced up an onion and two toes of garlic and sliced up the meats. 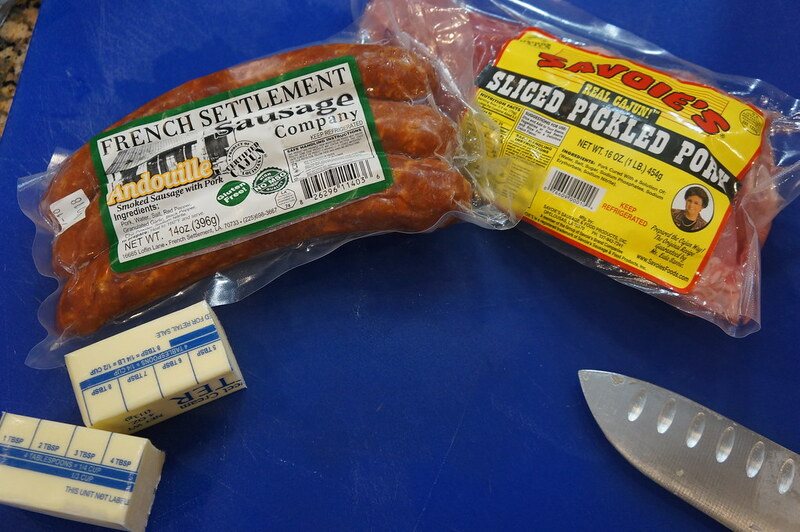 A pound of pickled pork and a pouund of French Settlement andouille. 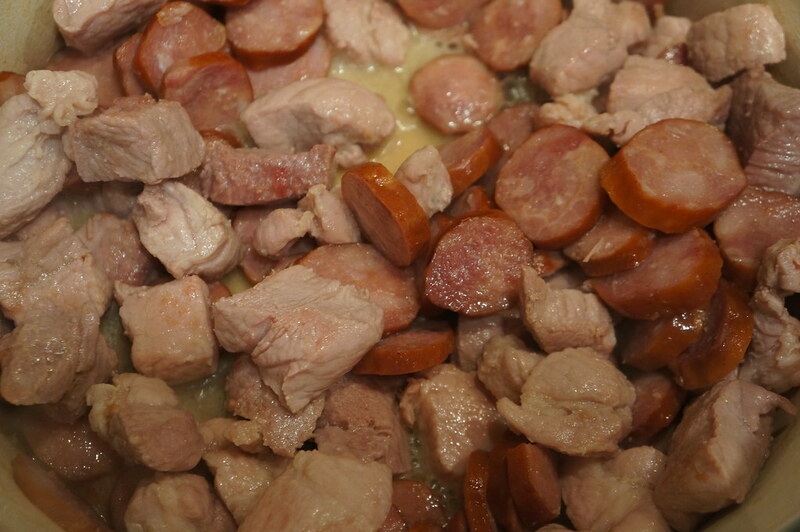 I started the cooking by first browning the pork a bit then added the andouille. Then removed those and Sweated down the onions and some celery and the garlic. 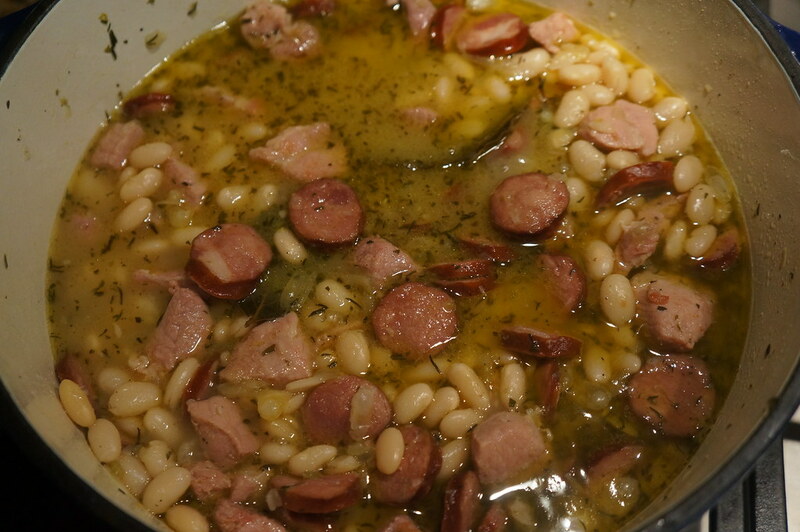 Added some savory leaves, bay leaves and a couple of other spices then put in the beans and water and added the meats back to the pot. Simmering right now! Smelling fantastic! I might paneed some pork loin chops to go with tonight for dinner. 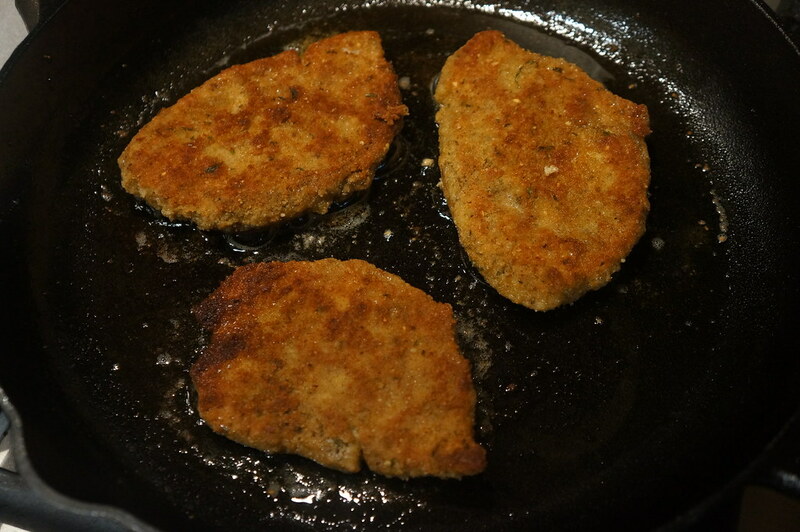 I paneed some thin sliced boneless pork loin chops to go with the beans. Yummy. 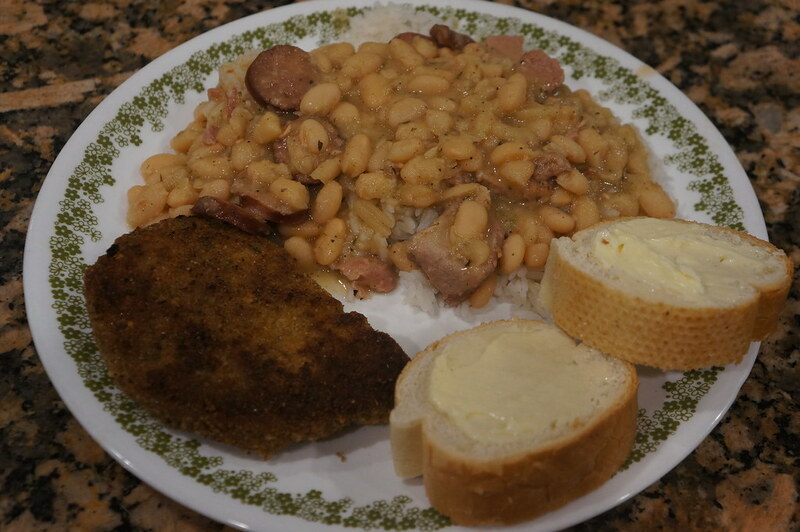 I love the colder weather and cooking up some ham and beans.